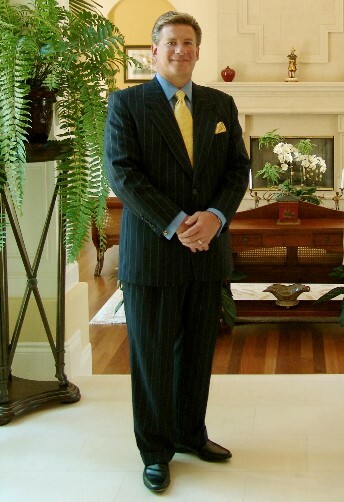 Founder and former Sotheby’s International Realty and Christie’s International Real Estate luxury residential sales specialist, Philip Lyle Smith, has been a premier Boca Raton and Delray Beach luxury real estate professional in Palm Beach County for more than fourteen years. With a proven industry reputation that reflects his high standard of values and proficiency that he offers to his respected clientele, Philip, a native New York City resident, has emerged not only as an outstanding Boca Raton Waterfront Real Estate agent and Delray Beach Intracoastal luxury sales expert, but is also known to be a significant force in the "ultra-luxurious" South Florida Oceanfront, Exclusive Gated Estate Enclave and Elite Golf Course Country Club Homes for sale arena. As an esteemed Boca Raton Realtor, Philip understands that loyal and repeat clients are earned through trust, confidentiality and a high level of moral principles, while his South Florida luxury real estate comprehensive understanding, tireless commitment and skillful negotiation techniques result in an incomparable quantity of successful transactions. Considered an authority by his colleagues and clients alike in the selling and advising of value for Manalapan ocean to intracoastal estates and Palm Beach waterfront mansions, Philip's other focuses are on the sale and acquisition of waterfront and intracoastal properties found along the Gold Coast of South Florida from Hillsboro Beach and Hillsboro Mile to Gulf Stream and Jupiter Island. Philip Lyle Smith has demonstrated over the years his overwhelming and persistent ability to carve out and gain a valuable market share of buyer confidence through an educated and passionate familiarity within the exclusive Boca Raton intracoastal homes of the Estate Section of Spanish River Land, Lake Boca / Por La Mar and the Boca Raton Riviera as well as the Delray Beach waterfront real estate communities of Seagate and Tropic Isle. Philip is trusted for the advice and guidance he offers to his esteemed customers and appreciated for his exceptional ability to maximize the profit potential of the South Florida luxury properties he represents. Philip has produced a list of South Florida luxury real estate accomplishments that include an unmatched number of facilitated transactions, land acquisitions and/or professional guidance for his clients' portfolios not only in Boca Raton Oceanfront Estates and Delray Beach Waterfront Intracoastal Residences, but also in Boca Raton / Delray Beach Country Clubs and Golf Course Homes, Boca Raton / Delray Beach Gated Communities and Exclusive Estate Enclaves as well as the blue ribbon Palm Beach County Horse Farms and Village of Wellington Equestrian Estates. If you are interested in previewing any of the prominent estates comprising Philip's unprecedented Luxury Resort Portfolio, receive additional information for any listed property in South Florida or gain maximum Global Marketing Exposure for your residence culminating in the sale of your home... Philip would welcome the opportunity to be of service to you. It is with great pride that Philip Lyle Smith "Invites You To Experience His Expertise" !! !